A riveting account of the search for a “latter-day Jack the Ripper” in New England: “Rich with characterization and insight, and a real page-turner” (Jonathan Kellerman). In the mid-1980s, someone stabbed six women to death in the Connecticut River Valley on the border between New Hampshire and Vermont. The murderer remains at large and the total number of his victims is unknown. 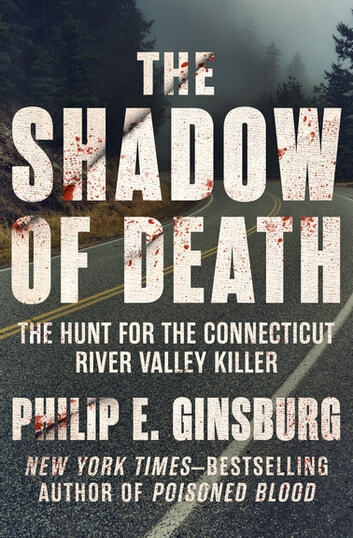 In this brilliant work of true crime reportage, New York Times–bestselling author Philip E. Ginsburg provides fascinating insights into the groundbreaking forensic methods used to track the killer and paints indelible portraits of the lives he cut so tragically short. The Shadow of Death re-creates the fear that consumed the idyllic region when young women began to disappear with horrifying regularity. Neighbors used to leaving their doors unlocked suddenly wondered who among them was a sadistic serial killer. Friends and family of the victims were left to endure the bottomless pain of imagining their loved ones’ terrifying last moments. Desperate to stop the slayings, local police and FBI investigators used exotic new techniques to try to unmask the murderer. In some of the book’s most harrowing sections, Ginsburg documents the extraordinary efforts of psychologist John Philpin as he risks his own emotional stability to get inside the mind of a madman. Law enforcement officials identified several suspects and came tantalizingly close to putting all the pieces of the puzzle together, but it was only after a pregnant woman survived a brutal attack that the killings appeared to stop. The question remains: Could they start again? 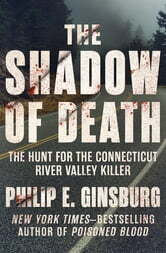 The Shadow of Death is a “riveting” profile of one of America’s greatest unsolved mysteries (Kirkus Reviews). I enjoyed the book. Well researched and written. The only negative I have is that the chapters are way to long to fully enjoy this read.